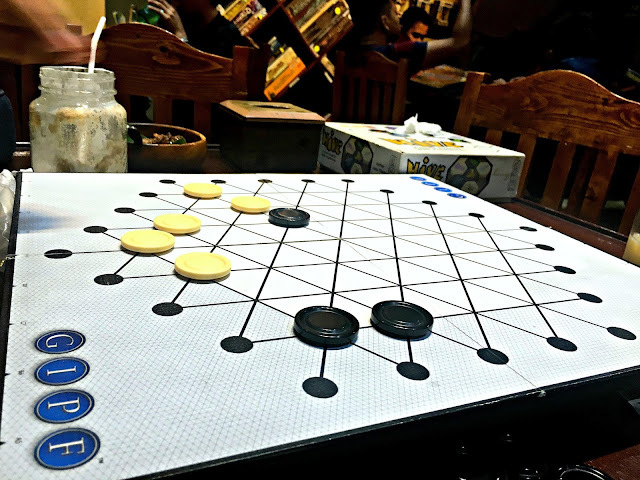 I've been dying to try a game board cafe ever since it became a hit in the metro. I love playing one and it used to be part of my childhood. Well, not the fancy ones. Just the Monopoly, Snakes and Ladders, and Millionaire's type of game. I never knew there are loooooots of it. And when I say lots, I mean actually a loooot. One of my favorite board game ever is Monopoly (like duh, this is the only I used to play always). I once was able to play Clue which by the way is very nice and what was made me inclined into playing board games and look for other "fancy" ones. It also made me thought of buying one already but I couldn't find a seller so I just shrug the idea off. 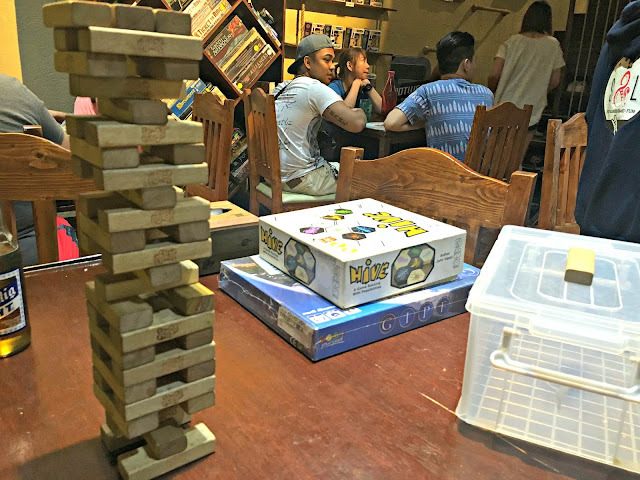 But then again, the board game cafes are making its name and being a certified foodie and on the lookout for trying new cafes and restos that's within my radar, one fine weekend, me and the boyf head down to Maginhawa to try Snacks & Ladders. 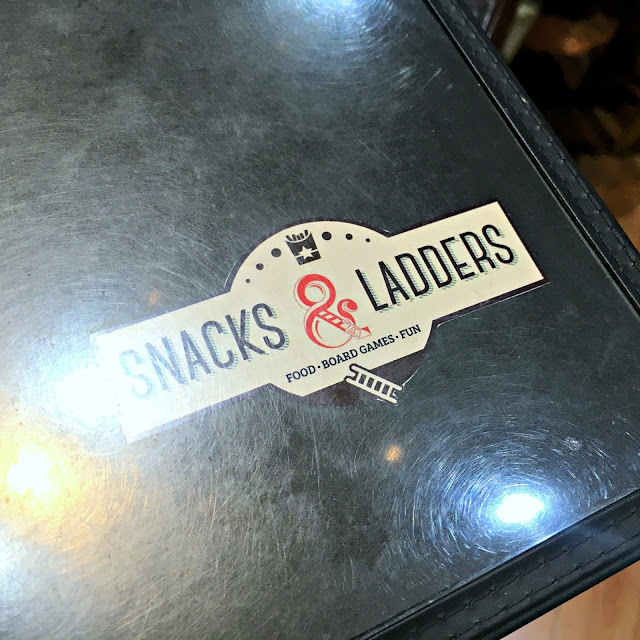 Snacks & Ladders isn't the first of its kind. There are other game board cafes out there that has been there even before this cafe came into existence. 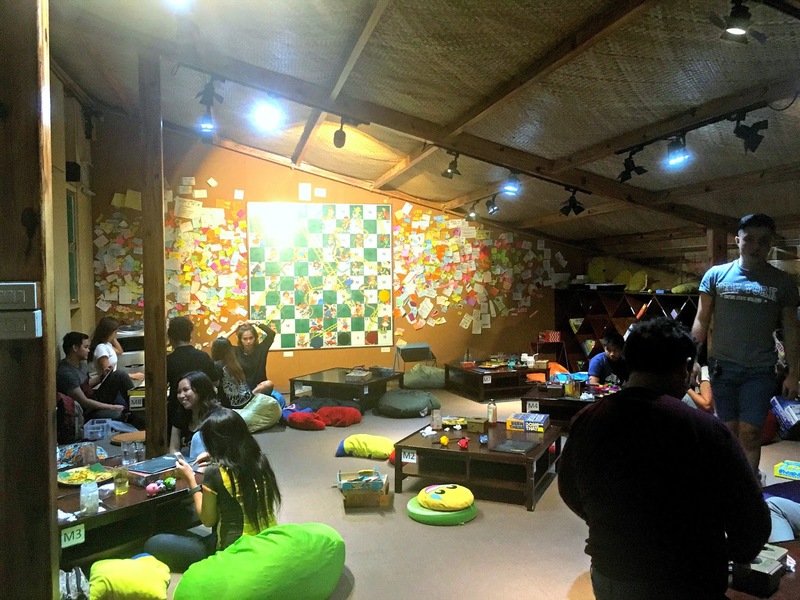 I can't actually compare this with others because this is my first board game cafe experience. I'll just try narrate the experience as much as I can. 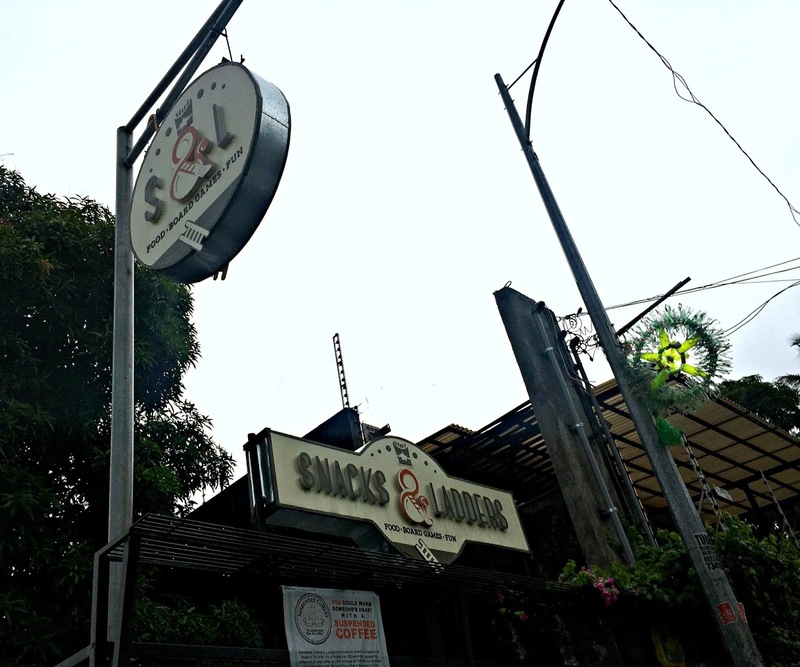 Well, for starters, it's located in Maginhawa. And as we all know, Maginhawa is one of the most famous spots for food crawls. It's where the certified foodies hangout and try all the food establishment. It's where the yummy and budget friendly meet. We arrived at the place at around past 6 and the place is somehow jam packed already. Take note that this is a Sunday. We're the first to be on the waiting list so just minutes after, we were able to get a seat. Ambiance is really for bonding over food and good friends. I also saw some family having their family day in the cafe. 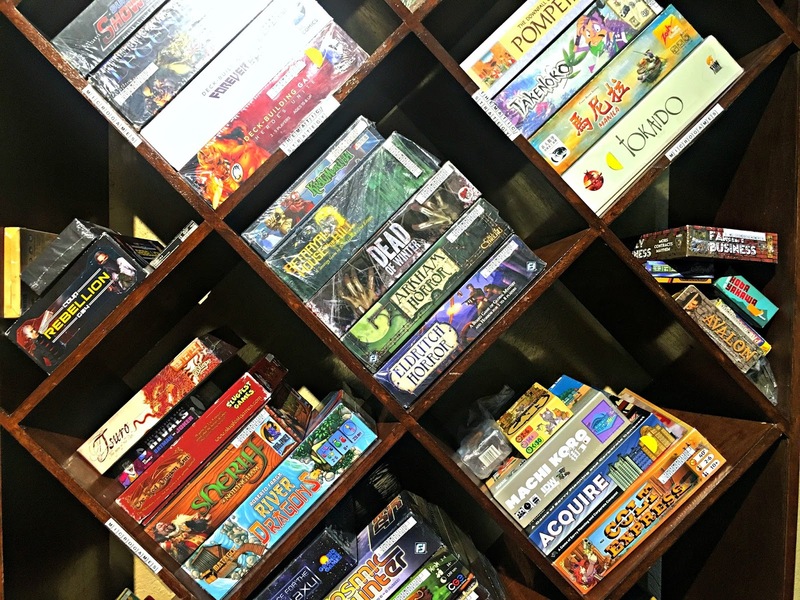 There are a loooot of board games which most of it is not familiar with me. And I just want to learn how to play it all! HAHA. It's safe to say that there's something for everyone. And don't worry though, if you don't know any games or wants to learn the mechanics, there are game masters scattered to help you figure out the game and to suggest which games can be fun depending on your preference and how many are the players. Since we're just 2 that time, most of the games that was suggested was good for two players max. 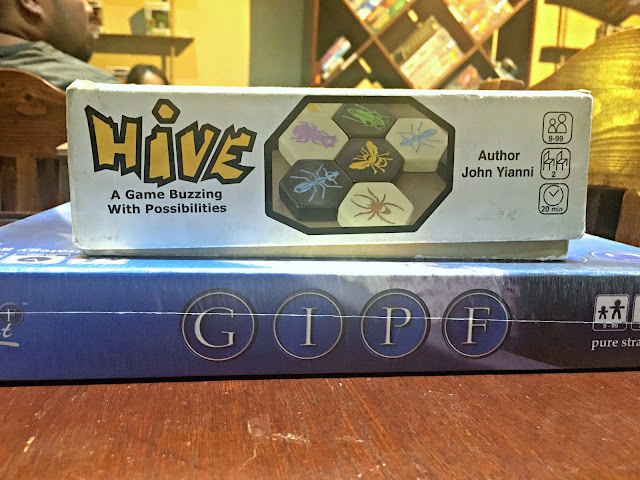 We played Hive and Giph which by the way is cool! But I liked Hive more. 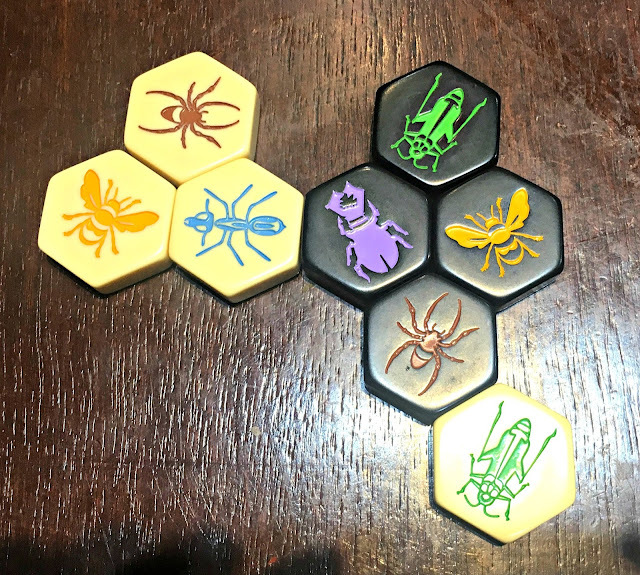 I'm amazed on how these game boards are being invented. 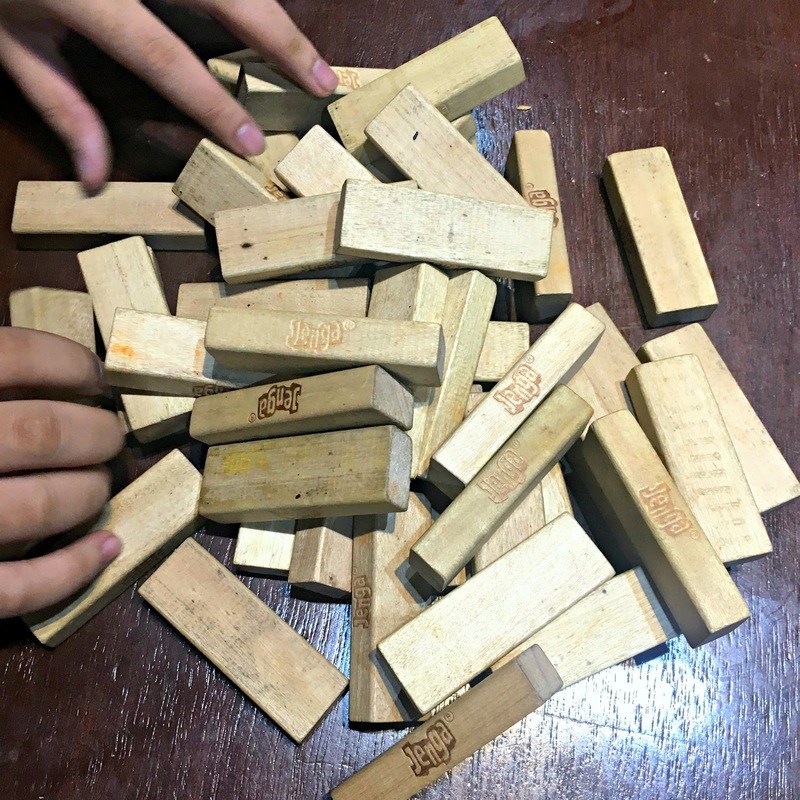 We also played jenga before leaving because you can't go wrong with jenga. LOL.. By the way, they have a gaming fee of 50 pesos per player which includes an unlimited game time. Until closing pa if you want! Haha. 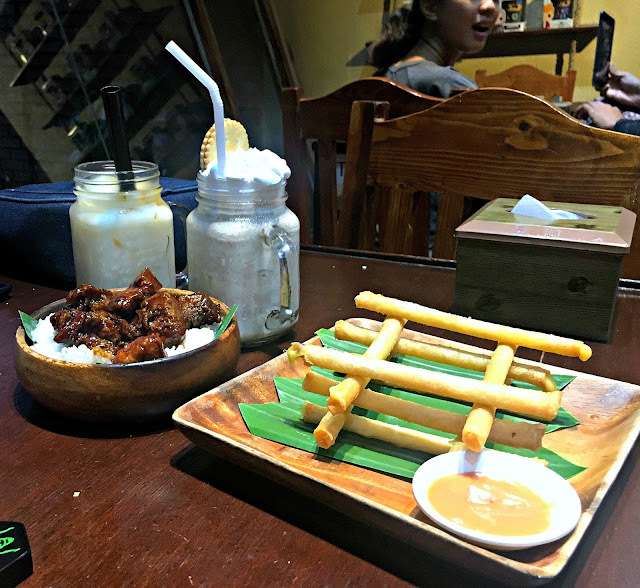 As for food, we only tried their Jengga Cheesesticks, Crispy pork tokkaidobo, Gotcha Mocha Hansel, and Pandan Pandemic which are all glorious! Considering the price, it is definitely reasonable and yummy. 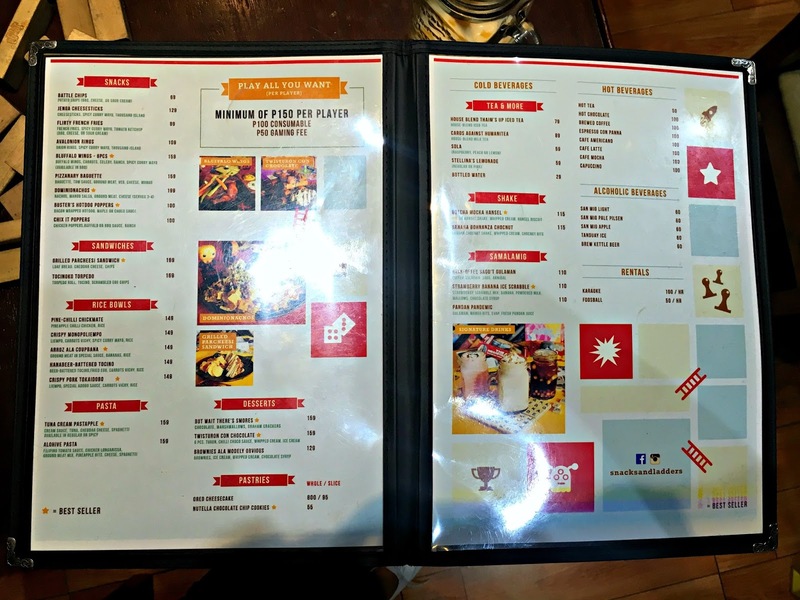 Wanted to try their other menu especially the nachos but I was already full. No worries though because I will definitely be coming back to play and to try everything that's on their menu. HAHA kidding. And more board games. But this isn't all! I will definitely be recommending this to everyone. 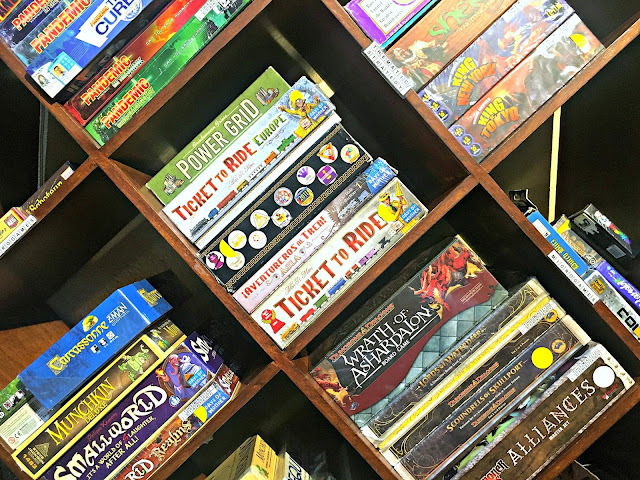 If you haven't tried a game board cafe yet, come over to spot and see if other game board cafes can be at par with the experience here. Like what I said, I will definitely go back. Like every time I have the chance. Hehe. 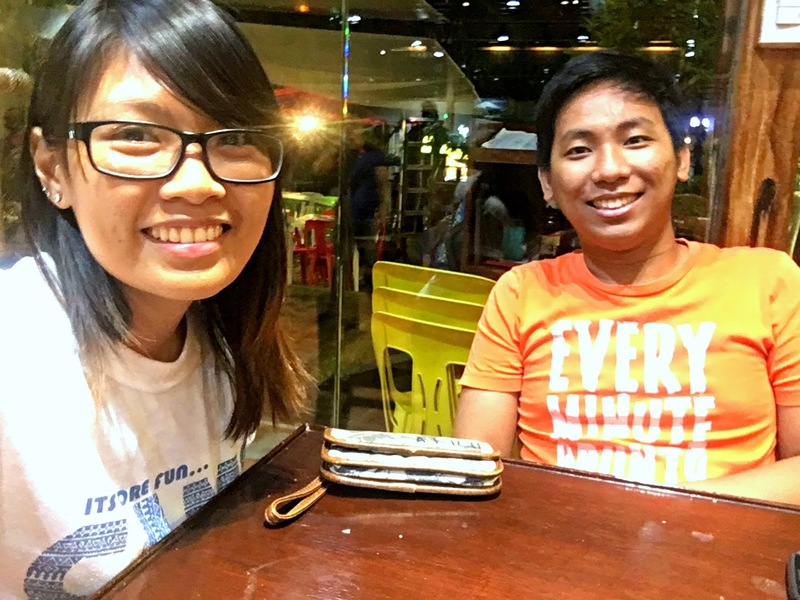 Thanks to the boyf for accompanying me even though he actually wanted to watch Finding Dory. Haha. I really like that they are not only a board game cafe but they also adopt the concept in their food too. 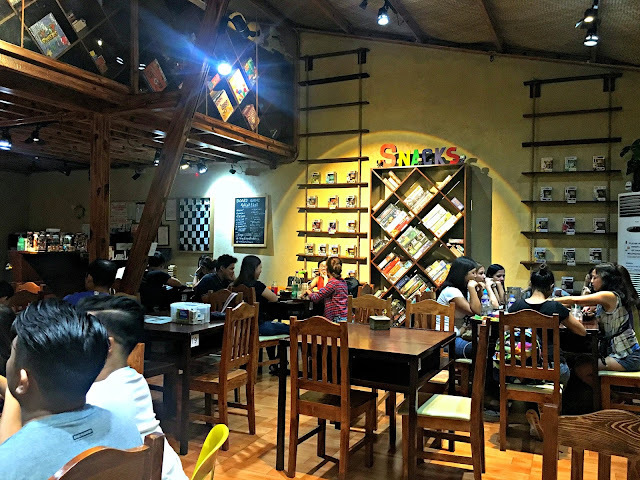 I have never been to a board cafe before but I'd love to, seems the perfect place to spend a relaxing afternoon of laughter with your friends. I think board game cafes are cool. I'm not into board games myself but my siblings frequent these places. 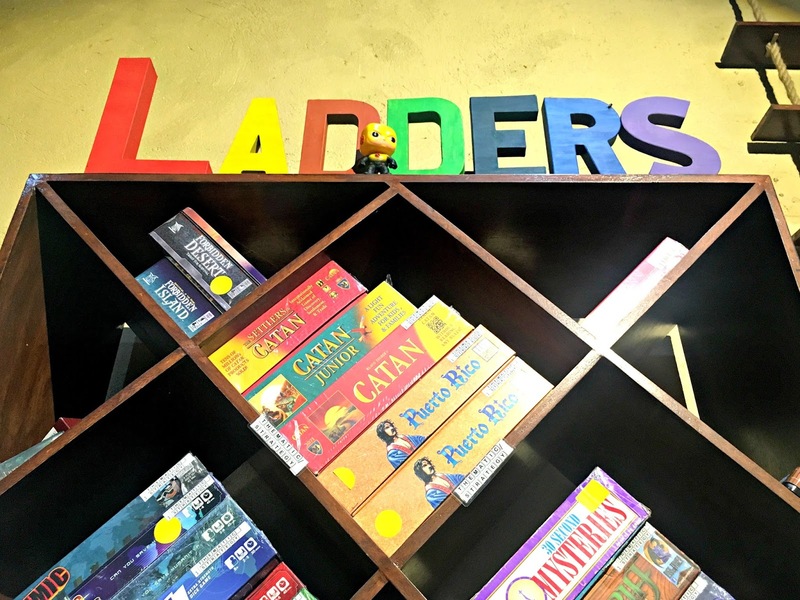 Try Ludo as well, I heard they have a bigger collection of board games. Monopoly is also one of my favorite board games. I wish there's a cafe like this so we can go back to playing board games sometimes instead of online games. I would love to visit a place like that! They have great concept and I this is great for bonding! There's a newly opened cafe here in downtown and it has the same concept but I still haven't yet visited the place. Hopefully soon after I gave birth! Hala! I so want to go here ever since I stumbled upon a Facebook post of a friend going there! I didn't know there was an unlimited gaming fee. I thought it was always limited. Haha. I love the idea and the overall concept of this cafe! Looks so inviting. Definitely not a boring place to eat to because of you'll get busy playing the boards. Will pay a visit soon! It is also a hit even in province areas. I love this kind of concept in cafes. I also like board games. Good thing, you can try different board games you never played before. I think this concept has been popular these days. Been to different cafes and restos that offer board games. I think this is a good deal for youth. This can be a sweet escape in a digital world. I'm an avid tabletop gamer haha. And Snacks and Ladders is nearby. I've seen a lot of board game cafes spring up, especially in Teachers Village area. But this one is by far the largest and classiest I've seen! Wow, boardgames really are making a comeback! That's good to know! Will try Snacks & Ladders when I get the chance. I'm seriously addicted to board games back in the days. I even joined a club dedicated to board games only. It's good to know that cafes in the Philippines offers this kind of concept which I really dig into. We have one here in Baguio. "Game & Grub" I think. I'm not sure with the name. Haha.